Blog » Stress and emotional health » Is Acceptance the Key to Dealing With the Emotional Pain Acne Causes? Beauty is only skin deep. At least that’s what philosophy tells us. But when it comes to a particularly irksome breakout of acne, proverbs, and positivity pretty much fly out of the window! In recent times acne does not only affect teenagers, an increasing number of adults are now also suffering from the condition. According to sources, about 80% of teens and 40% of adults are affected by acne. This makes acne a common problem and unfortunately the negative effects are not limited to the skin and your appearance. Acne may in turn trigger symptoms like anxiety, depression or low self-esteem and in some cases even affecting your performance at work or school. These are problems people don’t really tend to deal with – they either choose to push them away or simply double up their efforts to get rid of the acne. But is this the best way to tackle the emotional burden of having acne? Psychology suggests not! How Are Emotions And Stress Related To Acne? Societal beauty standards tend to lean towards perfect bodies, shiny hair and clear skin as measures of perfect looks. Social media with all its filters and perfect pictures, sets unfair standards and is sometimes enough to make us feel inadequate. So what do you usually do when you see one of those awful zits on your face? You might immediately want to change your skin regimen. You might cancel all your appointments or call in sick to work. You might spend a whole night Googling every write-up related to acne. Or you might want to try out a new diet or a new supplement that promises you the clearest, fairest skin possible. Or maybe you just feel like staying in your bed, under the duvet, where nobody can see you? In other words you often look for quick fix solutions or wish that the problem would simply disappear. You might even obsess and only become more anxious until that anxiety slowly begins to affect your life. In trying to suppress all those negative emotions that acne triggers and all the worrying about how you can repair the damage on your skin! Well, guess what… that ‘stress’ can actually worsen the outbreak! 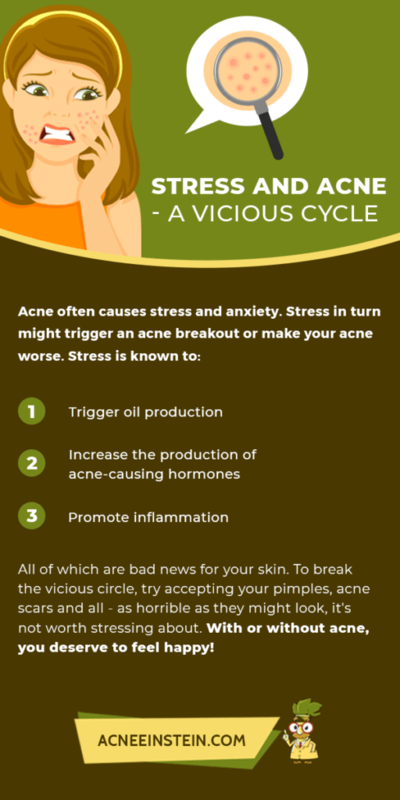 The relationship between stress and acne is bidirectional, meaning it goes in both directions. 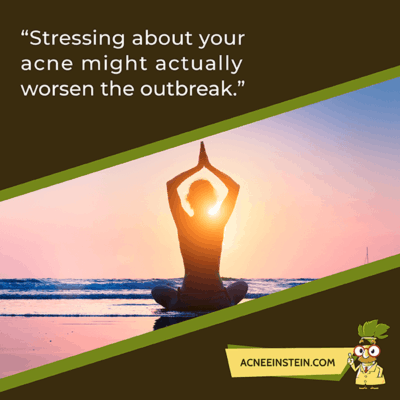 It is shown that stress can make your existing acne worse or it can act as an acne trigger and your face might break out when your feeling stressed. Likewise, having acne can cause psychological problems including increased stress, anxiety, and depression. The severity of the psychological issues linked to acne usually increase with increasing acne severity and longer duration of acne. So the worse your acne gets – the more you stress about it and so my friend, the vicious cycle begins. Researchers studying the effect of acne in women, found out that higher stress levels either triggered acne breakouts or made their acne worse. They pointed out that chronic stress increases the production of acne-causing male hormones (androgens) and also leads to increased activation of the sebaceous gland. Both of which are bad news for your skin. Stress activates the hypothalamic–pituitary–adrenal (HPA) axis. This increases the release of a hormone called Corticotropin-releasing hormone (CRH). Increased CRH triggers oil production by the sebaceous glands and production of acne-causing hormones. To make things worse, increased CRH release may also promote inflammation in the skin cells. Remember that inflammation is often the key in acne formation. In a nutshell: Stress has widespread negative effects on the skin. What is Body Dysmorphic Disorder or BDD? Most of us have some issues with the way we look, maybe our nose isn’t straight enough or our ears remind us of Dumbo. We might not like it, but it doesn’t really affect our daily lives. We go to work, school and live a normal life without thinking too often about our imperfections. This is what makes a person with BDD different. According to the Anxiety and Depression Association of America (ADAA) people with BDD think of their real or perceived imperfections for hours each day. This is something that is out of their control, they cannot simply NOT think of it. Nor do they believe it, if somebody tells them that the perceived imperfection is really nothing, that honestly they look fine. This feeling and the anxiety it causes, is so strong that it often interferes with their day to day lives. They avoid going to work or any public place, so that people wouldn’t notice their imperfection. They start avoiding social events and might even isolate themselves from friends and family, thus making their anxiety even bigger. So how does acne relate to people with BDD? The link between acne and body dysmorphic disorder is not something new. In one study from 2003, almost 10 percent of the patients with mild acne were diagnosed with BDD. The problem is, that often when we think about how we look, the first thing we notice is our face. A big part of our face is the condition of our skin and unfortunately acne can make us feel significantly worse about ourselves. In fact, it is well-known that people with BDD are most concerned about their skin and its appearance, more so than any other body part. For a person suffering from BDD, even mild acne can cause significant problems. They can see big flaws even in minor skin problems. What other people would think of as a casual zit or two, might make somebody else cancel a date or call in sick to work. Acne is especially tricky, since is not something that you are considered to be “born with”. You might not like your eyes, but you’ve had them even before you were born. A pimple can just show up, out of nowhere, and you might feel guilty about it. What will people think? That I don’t wash my face or maybe that it’s the result of a fast food bing? So as mentioned before, you try to get rid of it as fast as possible and go back to your normal life. Maybe you can’t stop watching your pimple, you touch and pick it constantly without noticing it. Unwantedly making your acne worse and damaging your skin. Compulsive skin picking is typical for a person with BDD and often out of their control. Control is the key here, a person with BDD cannot control this disorder. It is not as easy as deciding to stop obsessing about the imperfection in question. It is important to realize that BDD is more than just low self-esteem and not something that should be belittled. In severe cases it might even lead to suicide or an attempt of it. If you recognize yourself in this description, you should contact your doctor and be honest about your feelings, it is nothing you should be ashamed of. Cognitive-behavioral therapy might help you recognize your negative thinking patterns and change them. It does not have to be something that controls your life. Accept It… And Focus On Other Things! Now, for those of you who don’t suffer from BDD, what if you gave up on the mentally exhausting, continuous fight against acne? 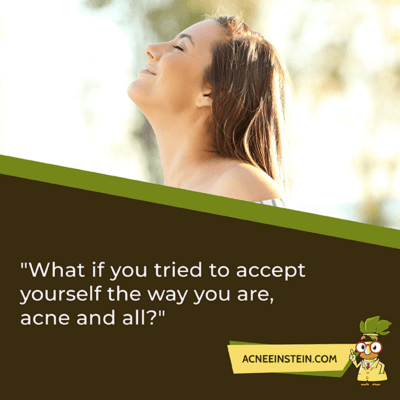 What if you tried to accept yourself the way you are, acne and all? Let’s face it, there is no quick-fix to acne. If you see a headline that says “get rid of acne overnight” – don’t even bother to read it. Yes, it might be possible to eventually have a clear skin, but there is no quick magic cure that will immediately transport you there. Yes, you are unhappy about the situation. Yes, you feel unattractive and hate every spot on your face. Yes, it’s unfair, and it’s ugly! Yes, your spots might be the first thing people notice about you and judge you. Yes, it is not going away any time soon! What if you acknowledge all the ugly thoughts instead of resisting them? Acceptance will not cure your acne, but it will make you feel much better and lighter about it. If dealing with acne has been a nightmare for you, try this – accept that you have acne and that’s that! Remember that you have other things going for you – maybe you have a great job, a great new course, or simply a good life. Or maybe you are surrounded by friends and family you love. Own it – pimples, scars, everything – and notice how it makes you feel! In fact, acne acceptance is pretty much the next big thing in the beauty industry’s body positivity movement! “Acceptance” is the first step, after which you will be in a better position to decide what you can do to get rid of it and change the situation you find yourself in.This will stop you from trying out remedies or ideas, desperate quick-fix solutions, that may even be counterproductive and end up making your acne worse — like extreme diet restrictions, skin picking or becoming obsessed over miracle cures and remedies. Instead of letting your emotions spiral out of control every time you break out, you will be in a better position to think rationally about “what can be done to better the current situation”. When you are less stressed, you are also likely to take better care of yourself, take your medicines or vitamins regularly and heal internally. Skin specialists say that practicing self-management and relaxation techniques like meditation, yoga, tai-chi or hypnosis has actually proven to make the sufferer less prone to breaking out, has reduced the intensity or occurrence of spots and has made them more responsive to conventional treatments. So be honest, have you been putting off going on that date, starting a new business or meeting new people? Accept yourself as you are, warts and all, and go on! Sure, people may notice your spots, but your confidence will make them notice your personality shining through! Acne shouldn’t define who you are or affect your self-esteem! We are all flawed beings, and being imperfect is what makes us real! 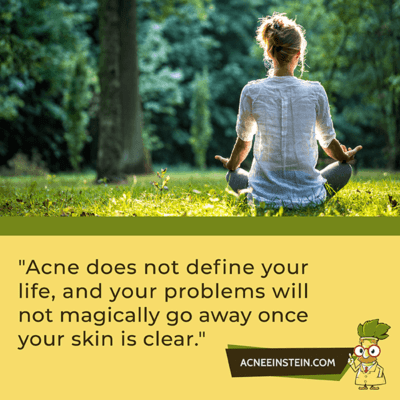 Acne does not define your life, and your problems will not magically go away once your skin is clear. We need to learn to accept and embrace our emotions as they are, accept our imperfections and live fully! You can now watch summaries of our articles also on youtube! 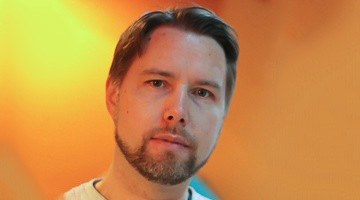 Uzun, Ö et al. Body dysmorphic disorder in patients with acne, Comprehensive Psychiatry. 2013;44 (5):415-419. https://doi.org/10.1016/S0010-440X(03)00102-0.